Forget the 5 a.m. start, Toys R Us stores will open at midnight on Thursday, Nov. 26. Just in time to finish digesting that Thanksgiving meal. As Toys R Us points out in an announcement, that's 25% more time to grab Black Friday deals. 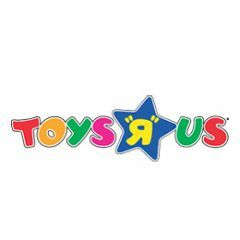 Toys R Us' Big Book is out and most Black Friday deals are leaked but the toy retailer will make a preview available of more than 100 previously unadvertised prices on Black Friday deals as of 12:01 Wednesday, Nov. 25, and start shopping in stores just 24 hours later. But while stores will be open, some but not all, of the doorbusters won't begin until 5 a.m.
Zhu Zhu hunters be appraised, the first 100 people in line on Black Friday will each be given a ticket for the opportunity to purchase a Zhu Zhu Pet (with a limit of one per household). Toys R Us, said in a statement that 1000's of Zhu Zhu Pets will be arriving regularly throughout December. Deals beginning at 5 a.m.